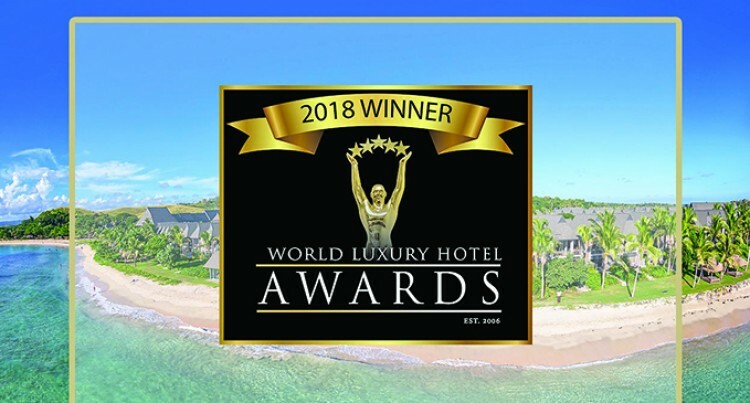 InterContinental Fiji Golf Resort & Spa is delighted to announce their win as Australia & Oceania’s Luxury Golf Resort at the 2018 World Luxury Hotel AwardsTM Gala Ceremony hosted at the Ayana Resort & Spa in Indonesia. Established in 2006, the World Luxury Hotel AwardsTM is described as the pinnacle of achievement in the luxury hotel industry offering international recognition voted for by discerning travellers and industry stakeholders. Andrew Davidson, Area General Manager South Pacific at the InterContinental Fiji Golf Resort & Spa says: “Complementing our recent win as Haute Grandeur’s Fiji’s Fiji’s Best Beach Resort, Fiji’s Best Golf Resort, Fiji’s Best Resort Spa and Fiji’s Best Destination Wedding Retreat 2018; this award also reflects our dedication to golf excellence. “Establishing Fiji as a world class golfing destination takes dedication, teamwork and a lot of attentive care from our team. Offering ample facilities that complement a golfing holiday with downtime is key to what makes our Resort truly exceptional.